The building works have been 'full speed ahead' over the 6 week summer holiday. 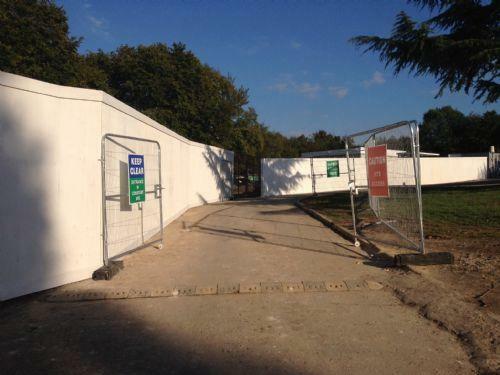 Please do not use the front (Romsey Close) pedestrian gate if possible due to construction traffic etc. The best gates to use are the Top Playground gate (Melrose Walk) & Infant side gate. Parents can park at Abbey Rd shops and walk the very short distance through to school. A brand new gate will be open for use from Monday from Tintern Close. There is ABSOLUTELY NO access for any cars other than staff from Romsey Close. The gates in the picture will normally be closed. Thank you for helping us keep our children safe during our big build.